The new district, which gained more rural areas and lost some of liberal South Austin, stretched from Onion Creek to Lago Vista to Leander. It became a conservative stronghold, and to this day, Workman is the county's only Republican state representative. In the Republican primary, Workman is being hit from the right by retired registered nurse Patty Vredevelt and Jay Wiley, who owns a concierge medical practice for prenatal care. Wiley ran against Workman in 2016 and lost by roughly 20 percentage points. Although Trump won House District 47 by a narrow margin in 2016, Workman still enjoyed a comfortable 12-point lead over his Democratic challenger, Ana Jordan. None of the Democratic candidates have run for office before. But all of them said they’re fed up with the social ramifications of the state's "bathroom bill" discussion and the 2016 election. They also hope to improve public school financing, transportation and the district's environmental preservation. The candidates' policy stances are similar, but Fowler and Goodwin have emerged at the forefront of the race, Littlefield said. Fowler has the most legislative experience of the group, and Goodwin has raised the most money. Fowler previously served as chief of staff to state Rep. Helen Giddings, D-DeSoto, and as a policy aide to former Austin Mayor Pro Tem Sheryl Cole. 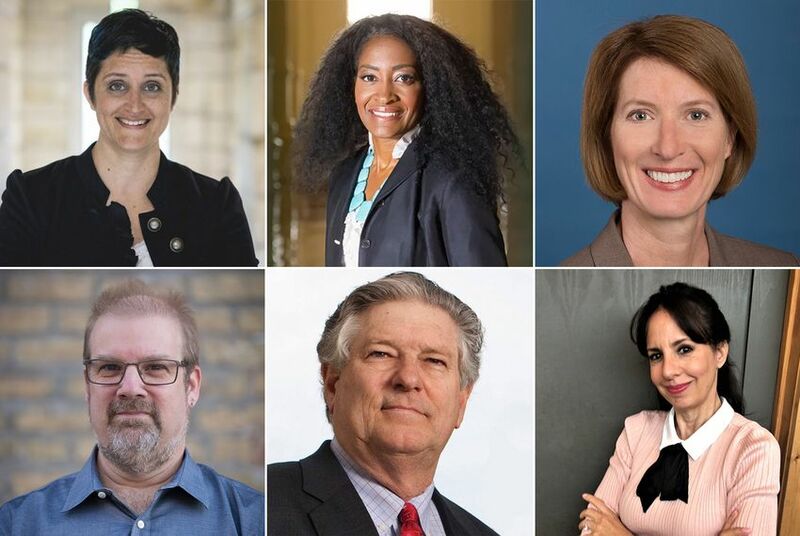 Fowler recently received the endorsement of the Austin Chronicle, which cited her record of working across party lines and helping write bills in 2015. "Eight of my bills passed in the 84th legislative session and actually went on to become state law. No other candidate can claim that," Fowler said about her Democratic opponents. "And no other candidate can claim that they know what goes on day to day in the Legislature." Goodwin, on the other hand, brought in roughly $43,000, whereas none of the others cleared $17,000, according to the latest finance reports. Goodwin is also loaning her campaign $55,000. She was endorsed by Central Austin Democrats and South Austin Democrats. "I’ve supported a lot of Democrats over the years. I've block walked and fundraised for them," Goodwin said. "My business background differentiates me, but so does my extensive volunteer work in the community." Soltes has been endorsed by Circle C Area Democrats, the largest Democratic organization in Travis County, and Aylor by Our Revolution Texas, a statewide progressive organization. Simpson, the only male Democratic candidate, said his campaign is not targeting larger groups for endorsements yet. All five Democrats said they are avoiding negative campaigning against each other. Brendan Steinhauser, a Republican strategist who lives in the district, said none of them are close to becoming a “top-tier candidate” that could peel away enough independent and moderate Republican voters upset with Trump while energizing the district’s liberal base in the fall. Workman said the only House seat viable for Republicans in Travis County needs to be held by a senior legislator who can counteract “Austin and its socialist policies.” He has criticized the city's Fair Chance Hiring ordinance and recent paid sick leave mandate. “We are speaking to a lot of people about what the City of Austin is doing, and it’s my goal to keep trying to fix that next session,” Workman said. “If [my opponents] were to win in the fall, they would be freshman legislators and wouldn’t have any influence to do the things that need to be done." His Republican challengers have tried to paint him as not conservative enough, but Workman earned the endorsement of Gov. Greg Abbott. And Steinhauser said the incumbent’s record on issues like transportation and property taxes is viewed favorably by many Republican voters. Political experts agreed the March primaries will determine whether the district can turn blue.